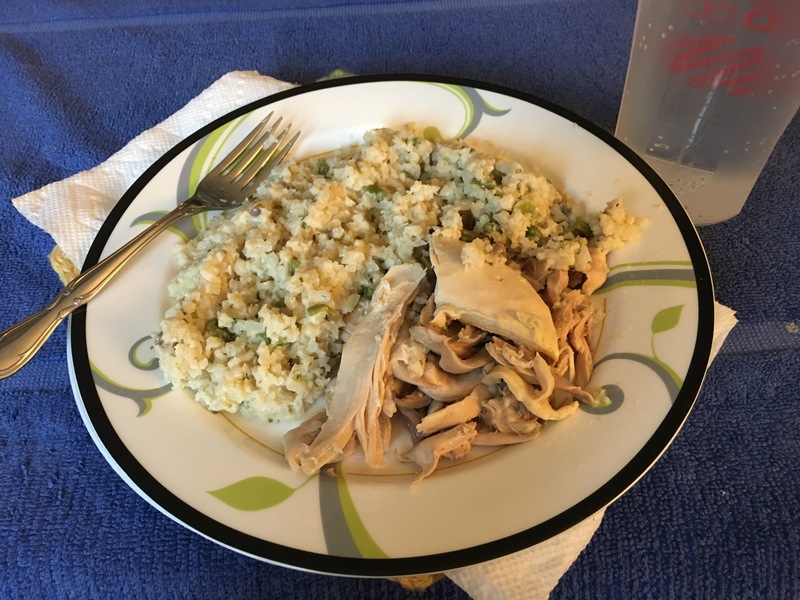 Roasted chicken and cauliflower rice risotto. My name is Faith and I live in Northeastern Illinois USA. I am a Christian, wife, mother, stepmother, grandmother, secretary at local real estate office. This entry was posted in Goals, Health, Lifestyle, Recipes, Weight Loss. Bookmark the permalink.